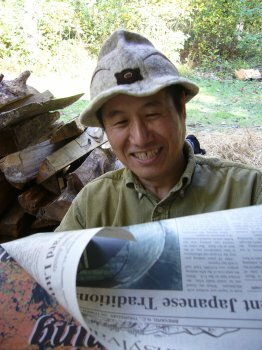 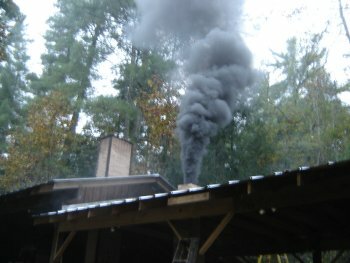 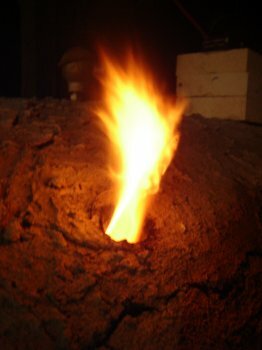 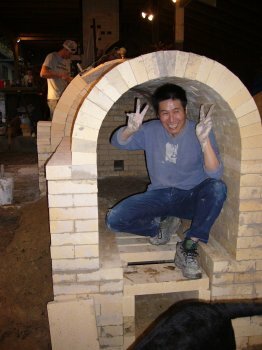 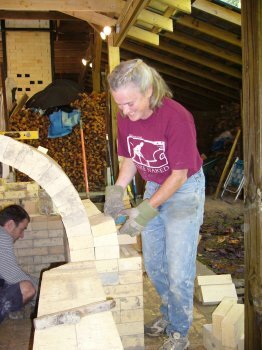 In October 2005 we conducted a two week Anagama building and firing workshop led by Shozo Michikawa from Seto Japan. 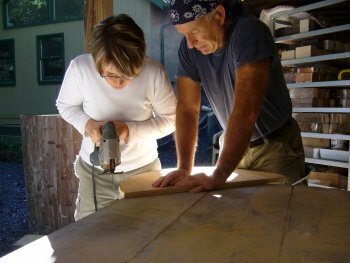 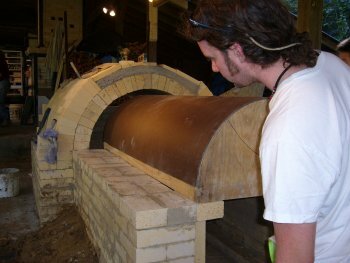 He has led workshops to build this small Anagama in several countries. 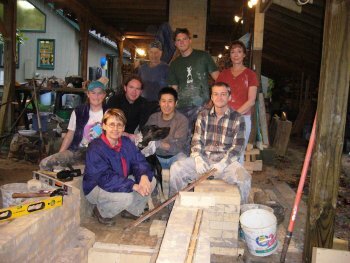 Participants were Josh Copus, Sean Fairbridge, Matt Jacobs, Michael Moore, Peg Papay, and Ann Rafferty. 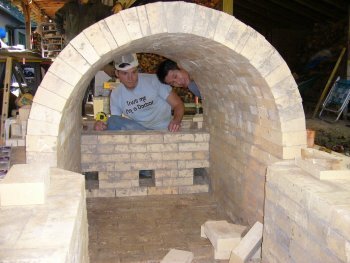 This Anagama is the traditional Japanese style having only one stoke hole - in the front - and an empty room behind the stacking area. 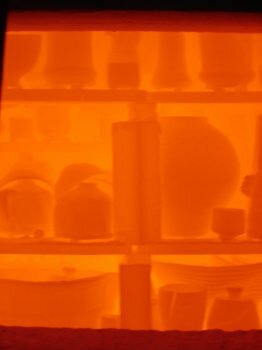 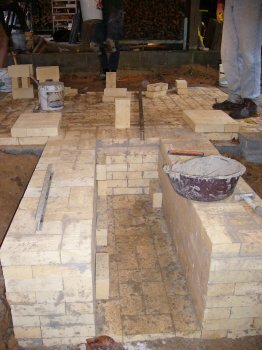 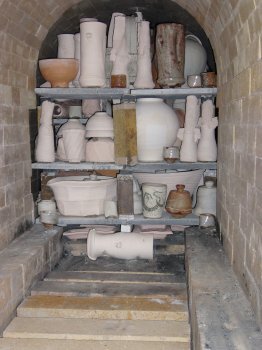 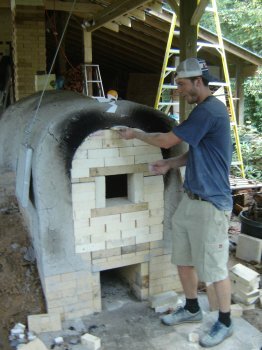 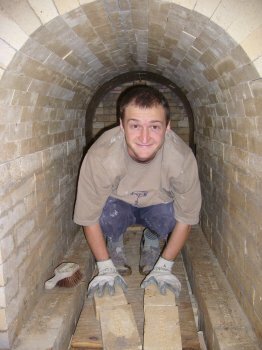 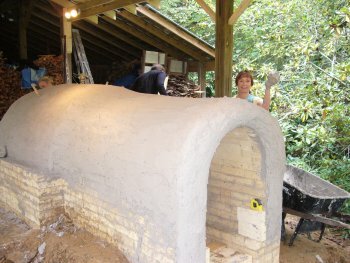 These are pictures of the various stages of the kiln building.